Experience the beauty of Maines rugged coastline in Bar Harbor at the Atlantic Oceanside Hotel and Conference Center. Situated on 12 acres of oceanfront property- Atlantic Oceanside Hotel and Conference Center offers guests access to gorgeous Frenchman Bay in a distinguished resort setting. 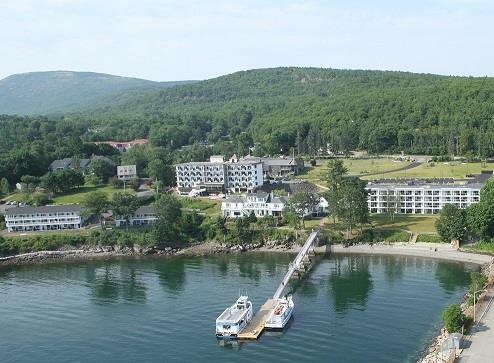 Quality accommodations with ocean views- modern amenities- large indoor pool- affordable vacation packages- and notable hospitality are the hallmarks of a Bar Harbor getaway at Atlantic Oceanside Hotel and Conference Center. You will also enjoy our prime location just one mile from Acadia National Park and the shops and restaurants of historic Bar Harbor village. ~30 miles from Bar Harbor. ~38 miles from Bar Harbor. ~39 miles from Bar Harbor. ~44 miles from Bar Harbor.